Given IDS’s actions during the Cameron administration as head of the Department of Work & Pensions, then his to lurch to the far right of UKIP in a desperate & failed attempt to outflank Farage during the Brexit debate, that leadership speech – coming after the planned “nasty party” speech of Theresa May, sounds like satire. This is an example of the sense of co ordination that has occurred between the two, a co ordination that carried on through the coalition cabinet. If Theresa May is the submarine, then Iain Duncan Smith is her tug boat. Where she was once his lever, she is now his. A Theresa May administration & an Iain Duncan Smith administration would look identical, much as a Jeremy Corbyn administration would follow very much after the fashion of Tony Benn. 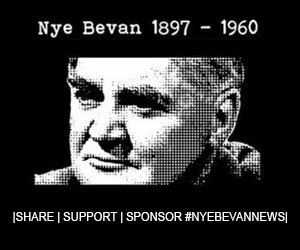 British voters will have a choice between the political visions of two British politicians & Statesmen who, by their own supporters, are often touted as “the greatest Prime Minister Britain never had” – the main difference being that Tony Benn has a lot more supporters. Should we have our country continue to be run to the needs and requirements of the best sharks in the tank, or should we renew and restore the New Jerusalem, the Home Fit for Heroes Tony Benn helped to build after he served in World War Two. Anna Turley MP reveals the shocking reality of the Conservatives Welfare reforms. Thank you Iain Duncan Smith, David Cameron, George Osborne & Theresa May. Next articleResignation of a Copper: Treasonous Tory Mayhem has slashed & burned public services into lawless disorder.